What is an empty, abandoned building other than terribly sad? No matter the story behind it, no matter the current circumstances or future potential for that building, I cannot stop the corners of my mouth from turning down, and a feeling of worry and neglect from flitting into my emotional track. And yet in all of our work on renovating buildings for improved energy use we actually treat the buildings as if they are empty. We continually forget that people are the main reason we design, build and operate buildings. 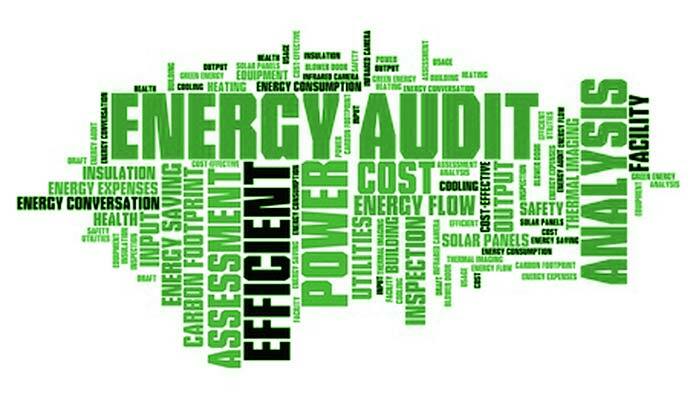 Even in this Energy Audit wordle, there is little to no mention of the building users. We especially forget this when we start to talk about energy efficiency. We create and calculate metrics to track usage, and predictions of the ROI (return on investment) for improvements, and we leave people entirely out of these calculations. Remember this one thing: People. 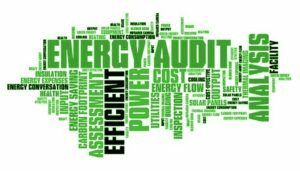 We often produce a simple tabulation of energy efficiency measures (EEM) so that we can see the relative ROI for several projects and then choose the work we should undertake. We tend to prioritize the items with “reasonable” ROI. Yet this information can be vastly misleading when it neglects the human factor in the calculations. Granted, this human factor is hard to predict or quantify, yet in assessing the value of insulation improvements, window replacements and general building envelope upgrades compared with more “cost-effective” discreet solutions such as chiller replacements, it is imperative we seek to understand it in order to make smart decisions. Both insulation and windows directly affect building performance as well as success of energy efficiency improvements, and they are nearly always undervalued in simple ROI prioritizing. Insulation – depending on the building, the condition, the age, and the complexity of the needed insulation improvements, increasing insulation and ensuring a higher performing building envelope can be costly and intrusive. Often this places this EEM low in this list of recommended projects. It may be a fairly long ROI. Perhaps the insulation must be added internally, losing some rent-able square footage. Maybe the potential deconstruction that needs to occur to get the insulation into the wall is unnerving. Yet investing in this durable improvement to the building envelope saves money for the life of the building, well past the ROI figures. It increases the resiliency of the structure by reducing, typically, water intrusion and the range of temperature swings. It protects all other investments within the building. And it improves the comfort of the building occupants. Windows – often considered one of the least cost-effective improvements in a building, window upgrades are by far the EEM that can improve occupant comfort the most. When you sit by a window, any draft due to poor installation is obvious. When temperatures vary widely interior to exterior, you feel the difference directly and frustratingly through conduction. It does not matter at all that the room is at a balmy 72 degrees if you are sitting by a cold window. If the window upgrade can also be linked to energy system controls that guide when the system is on or off, you can gain additional savings. Windows can certainly also improve overall envelope performance and, once again, improve the comfort of occupants. Wouldn’t it be better and more effective to factor in user comfort and realize that replacing windows or upgrading the insulation will likely create a deeper, more sustainable success story? The setpoints will stay in place, the building will get the accolades it deserves (or silence, which is sometimes even better) and the resiliency of the building itself will be improved, reducing owner risk. In addition, building envelope improvements are direct added value to the building, while many other energy efficiency improvements are either somewhat separate such as the source of the electricity, or are items with a naturally shorter lifespan, such as HVAC system installations or lighting retrofit projects. More to the point, isn’t it dangerous to invest in system upgrades, building management systems, and renewable energy inputs if you have not made sure the building users are comfortable?